Our vCIO Todd Sheppard attended the 2015 M-Files Americas Partner Meeting in San Diego last week and came home with this award! 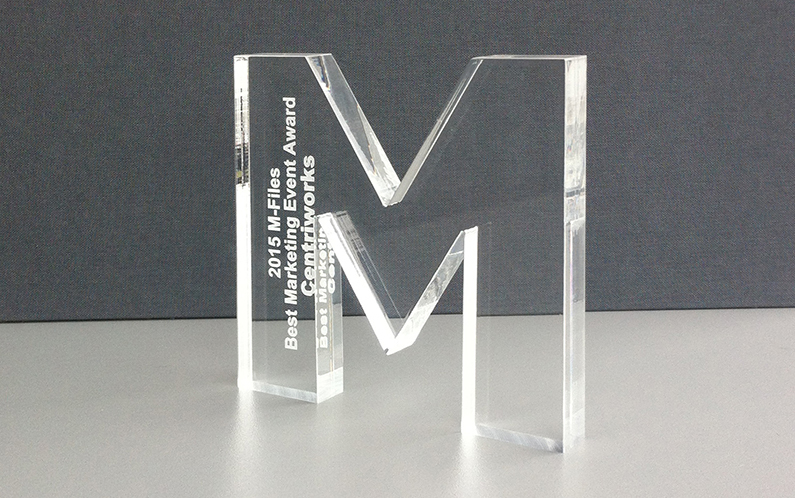 Centriworks was recognized nationally among M-Files partners with the “Best Marketing Event” award for our Productivity Possibilities Technology Conference. Congratulations to our Centriworks team and to everyone who worked to make the Technology Conference a success. Follow Centriworks on social media and join our email list to learn about innovative solutions like M-Files and upcoming Centriworks events. Contact us today to see how M-Files can improve the way you do business!